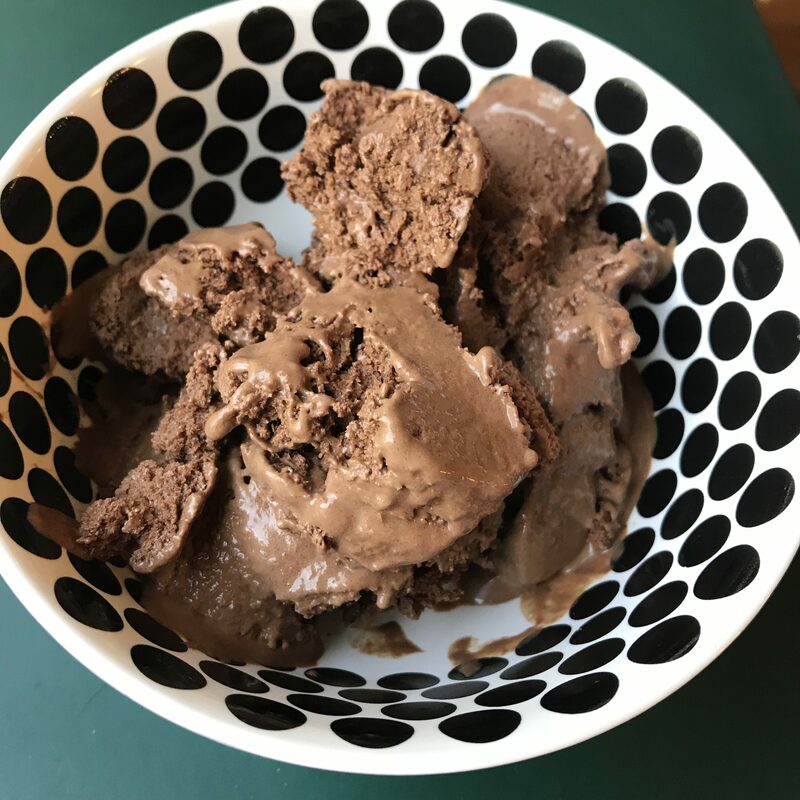 This is a delicious ice cream recipe that is dairy-free, low carb and rich in healthy fat. 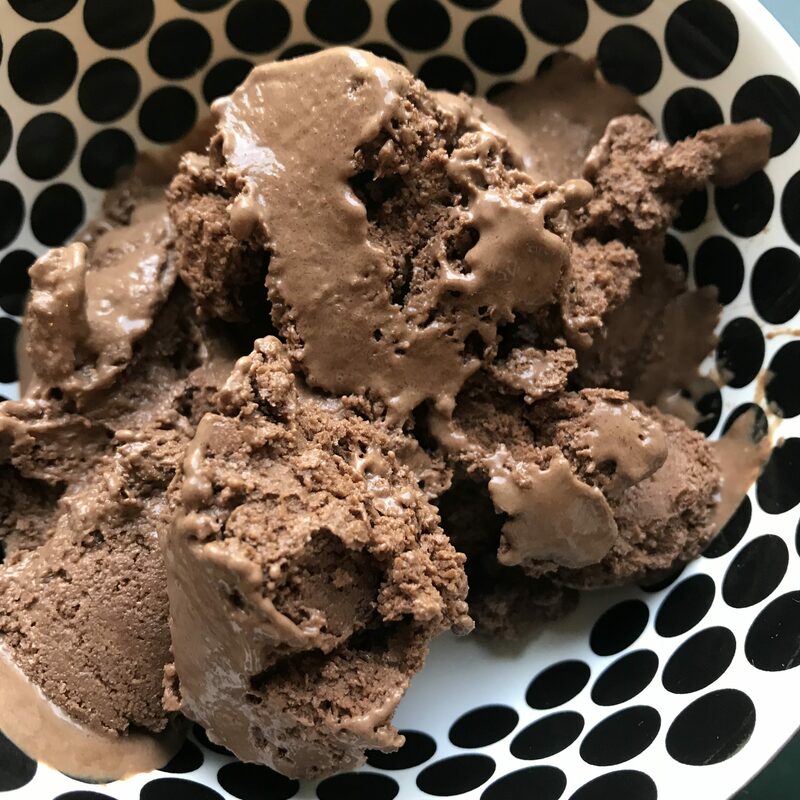 If you like rich, chocolate ice cream, you will love this! 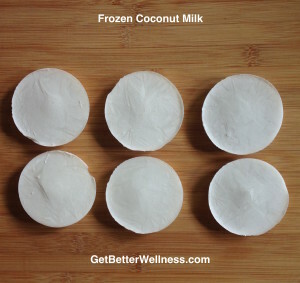 I freeze coconut milk ahead of time in silicone ice cube trays or other flexible containers. You will need 1-1/2 cups of frozen coconut milk. Freeze coconut milk ahead of time for use in this recipe. 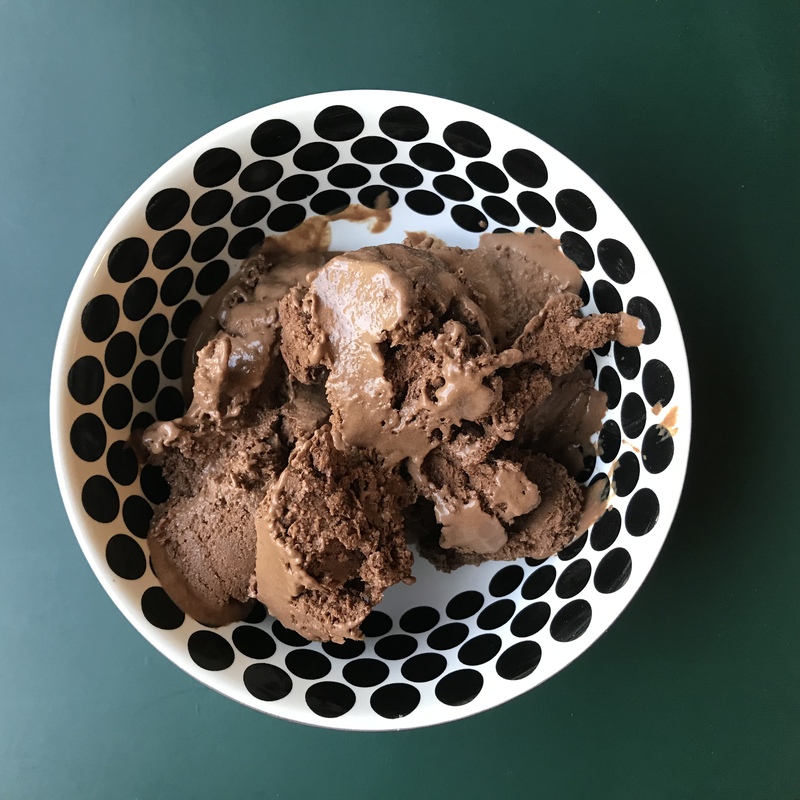 I use the VitaMix blender, but a food processor would also work. 1 Tbs gelatin powder, grass-fed source (Vital Proteins). I also successfully used Collagen Peptides. Blend. Add a little water if necessary. 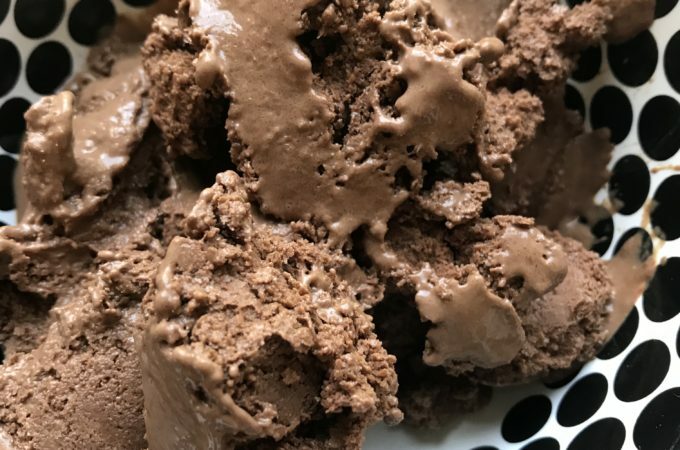 The consistency will be similar to soft-serve ice cream at first. If it is rock-hard when you want to eat it, scrape it into the Vitamix blender or even use an immersion blender to get the consistency right.